Chemical peels are noninvasive clinical skin treatments designed to address the damaging effects of photoaging safely and effectively. It involves the application of a chemical solution to help gently peel away the top layer of dead skin cells, thereby reducing the appearance of uneven skin tone, age spots, and wrinkles. The chemical peel jump starts the skin rejuvenation process. This superficial clinical skin treatment uses glycolic acid to create smooth skin, diminish the appearance of dark spots, and unclog pores. A light chemical peel has minimal downtime. Best results are seen in a 3 peel series with each peel occurring every 2 to 4 weeks. 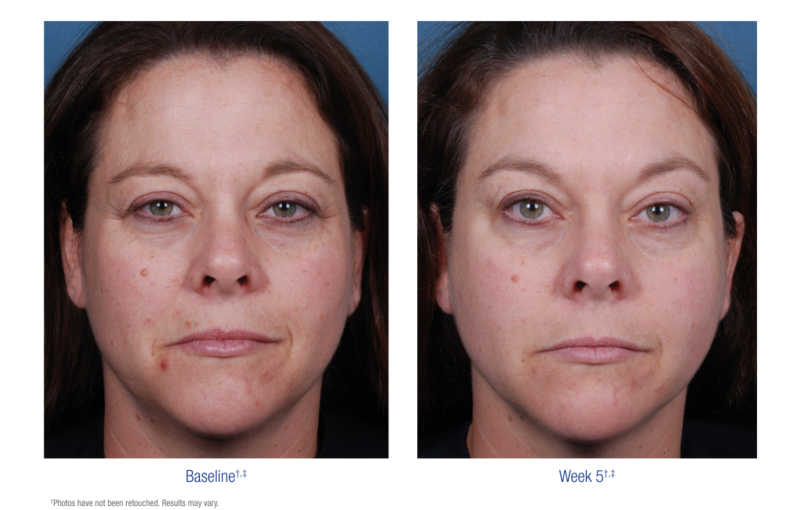 Light chemical peels are an ideal option for busy schedules as no downtime is required. This treatment relies on a stronger concentration of trichloroacetic acid, a chemical that has a more noticeable effect on age spots and wrinkles. Medium peels are deeper, causing a slight sunburn appearance for about a week. This peel requires recovery time, but leaves freshly restored, healthier skin in its wake. Best results are seen in a 3 peel series with each peel occurring every 2 to 4 weeks.